Breastfeeding apps are a must for parents, especially for first timers like myself. Prior to giving birth my wife downloaded a breastfeeding app per to a suggestion during a class. I on the other hand did not do so. Once our son was born I used her app for a bit, and it felt much less intuitive. That prompted me to download another app, and that’s what I’ll be sharing with you today. The breastfeeding app that I downloaded from the iTunes store is called Baby Nursing and it’s made by Seven Logics. 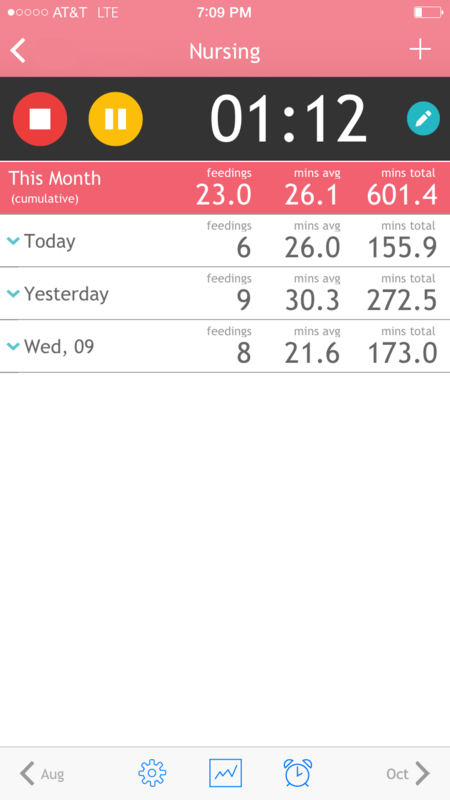 The one thing I liked about it immediately versus that app my wife downloaded (sorry, I forget the name) is that the layout was relatively simple and it captured a lot of additional data that spans beyond breastfeeding. Diary – a summary of the days/weeks activity. Measurements – this is great for doctors visits. You can track their growth over time. Nursing – your breastfeeding is tracked here. Pumping – need to pump? Track it here. Bottle – did your baby take in breastmilk via a bottle? Jot it down here. Diapers – when’s the last time your baby peed or pooped? You’ll know by keeping track here. Solids – when he/she eats solid food you can track it here. Bath time – yup, you can track that too. Doctor visits – input visits here. Medication – keep track of what medication your child takes in here. 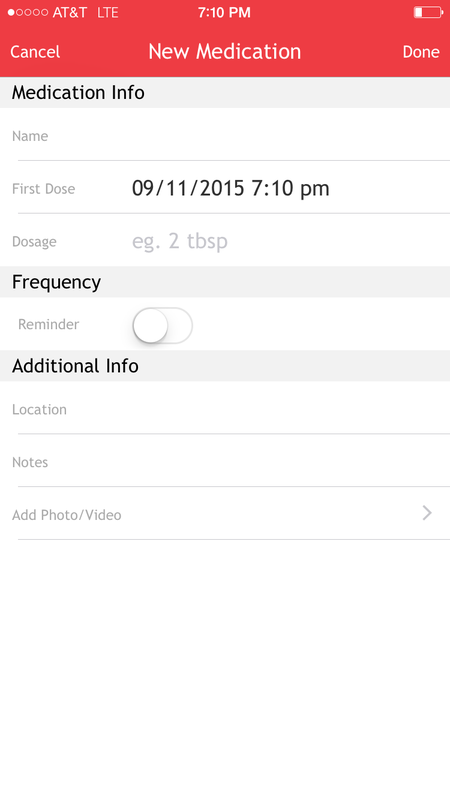 You can also hack this section early on to track moms medication intake after giving birth. It’ll help you track when pain meds were taken — this of course is assuming your baby isn’t put on any medication after birth. Vaccinations – Now you won’t have to remember what vaccination he/she has had. You can just track it and refresh your memory. As you can see, this particular breastfeeding app is packed with useful features. Virtually any app you try will take some getting used too, but what you don’t want to do is use an app that feels impossible to figure out. When I fired up Baby Nursing for the first time things just made sense. Here’s a few screenshots to show you a bit more of the app. Note: the big section of whitespace in each screenshot is that the shots were taken before we had a ton of data in them. This shows you how a particular section is tracked day by day. This particular one shows wet and poop diapers. It also gives a total of the two for each day. How much did you pump? When did you pump? Track it here. This is the breastfeeding section that you’re going to use a lot. The way this works is that when you open this section it’s going to have a L or R at the top where the time is currently showing. This is for left and right breast — it will also remind you of the breast you stopped the previous feeding on. If the previous feeding stopped on L, you’ll click R (for right breast) and the timer will automatically start. If the baby pops off or stops feeding, just hit the pause or stop button. You can also click on an individual day, such as Today, and see all the feedings and length of each feeding. I found it all to be very useful. Has your milk not fully come in? You may see your total minutes start out really high. Milk come in? You may see the total minutes reduce as the feedings are becoming more productive for the baby. Another great feature is the reminder setting. You can click the little alarm icon and set feeding frequency reminders. For example, if you need to feed every two hours the app will remind you. Because the idea of using pen and paper or a phone notepad to keep track is crazy. My wife actually tried the phone notepad for half a day… and then realized that it was complete insanity (I’m being a bit dramatic). It took her a couple rounds to get used to the app, but she did and now loves it. If you want to make the breastfeeding process a bit easier to track and gain useful data throughout the early stages of your child’s life and many years beyond, an app such as the Baby Nursing app will be very beneficial.